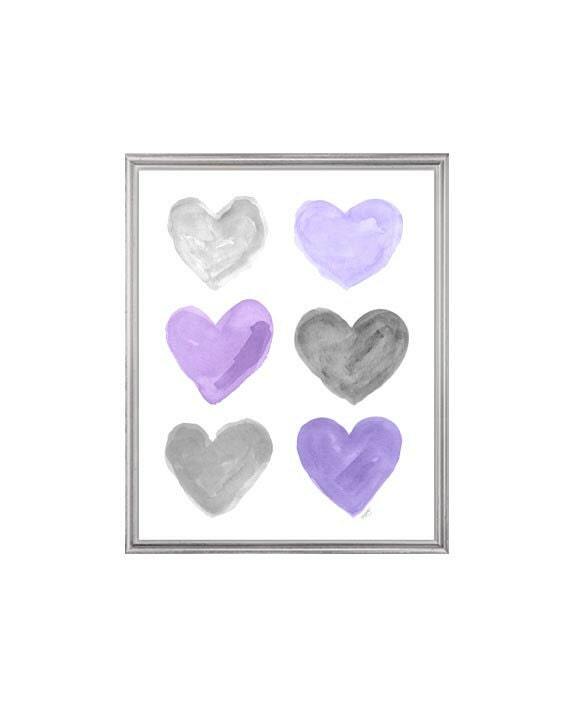 A collage of painterly watercolor hearts perfect for a gray and purple nursery or girls room. 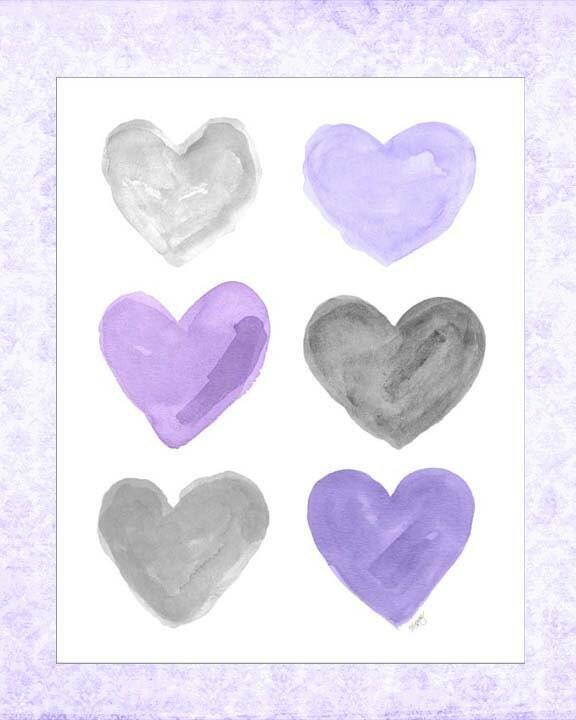 Each heart is created from my original watercolor paintings. Fast shipping and came perfect. 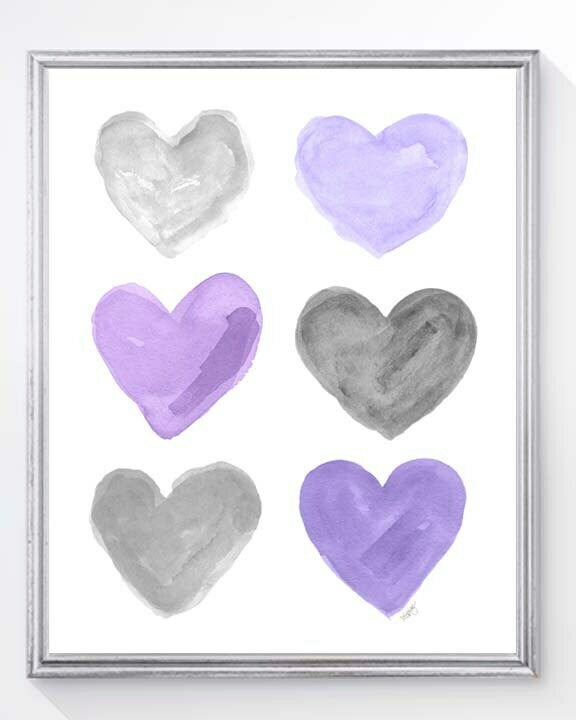 Looks just like picture! 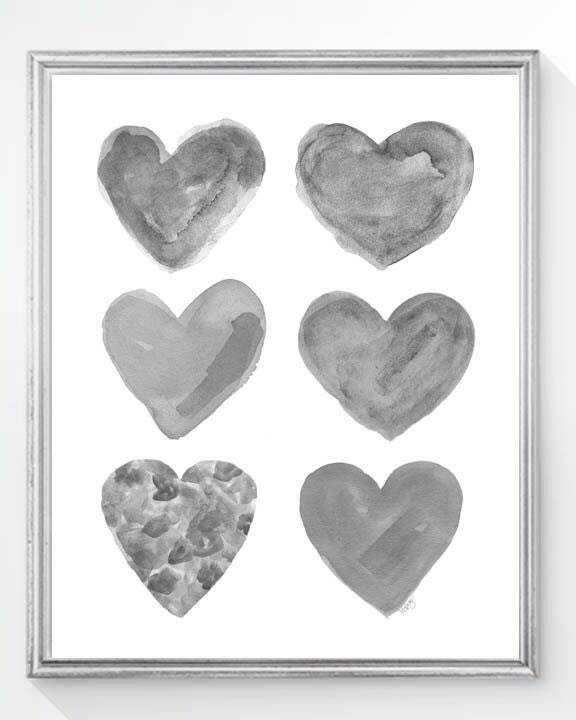 This heart print was added to a room being redecorated. 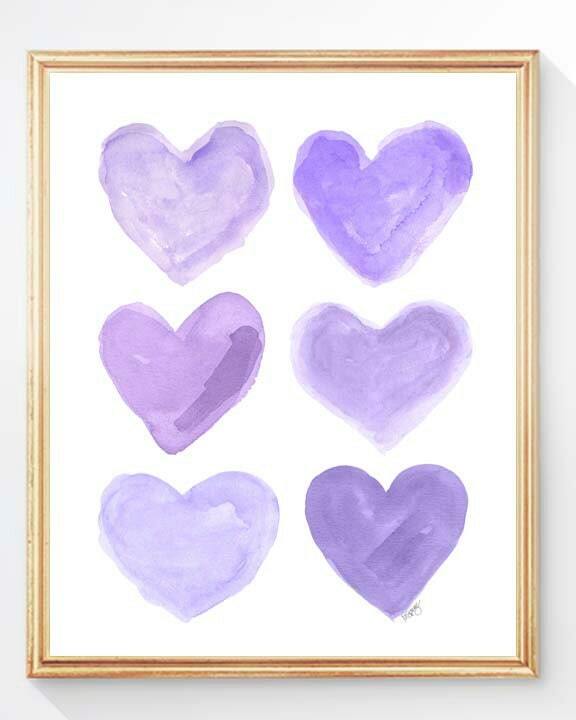 The colors blended great with the other room decor. It's perfect! It's perfect! Exactly what I ordered and shipped very fast!! Thanks! !